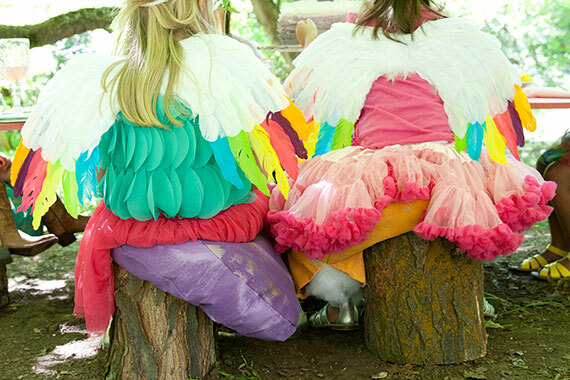 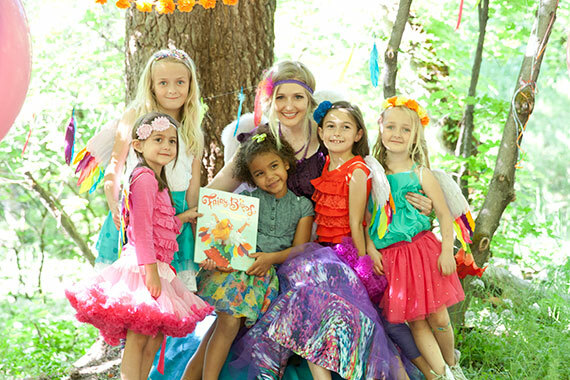 Co-authors of Fairy Birds Heidi Andrews and Heather Fujikawa (twin sisters, btw), have done something pretty amazing. 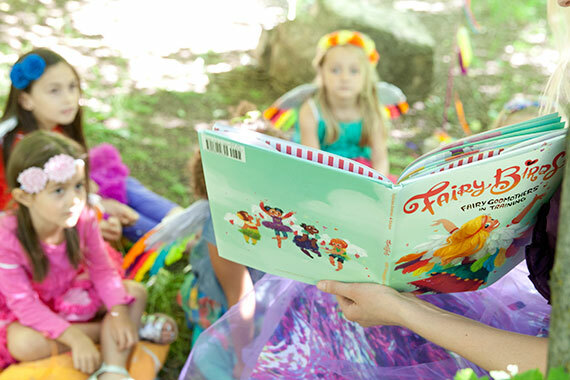 Not only did they publish a colorful story with a great message that teaches kids how to give, they also opened up a little shop full of all the whimsical accessories every character wears in the book. 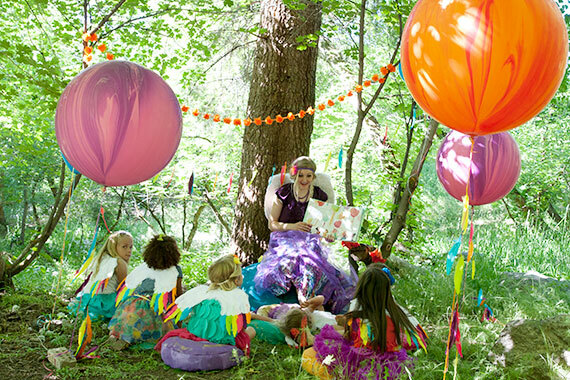 Which is pretty much a dream for any kid wanting to climb right into the story. 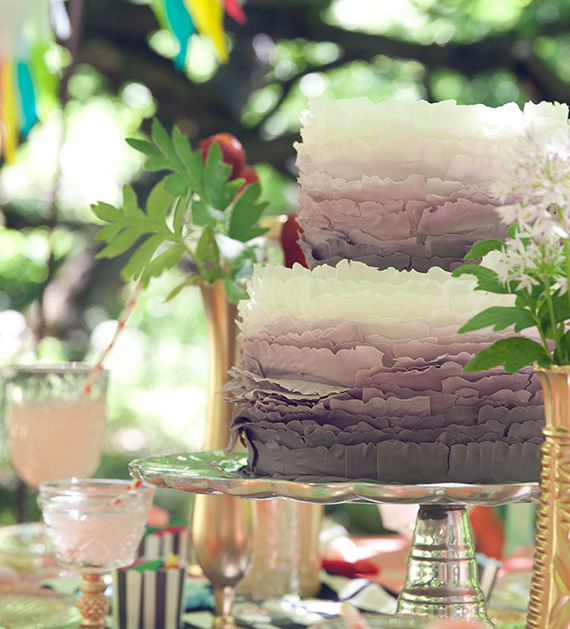 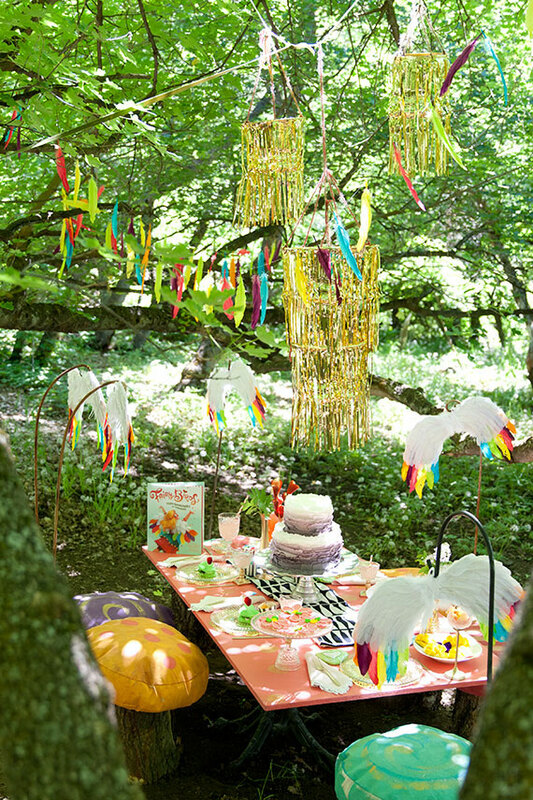 So in celebration of their new series they threw this adorable woodland party! 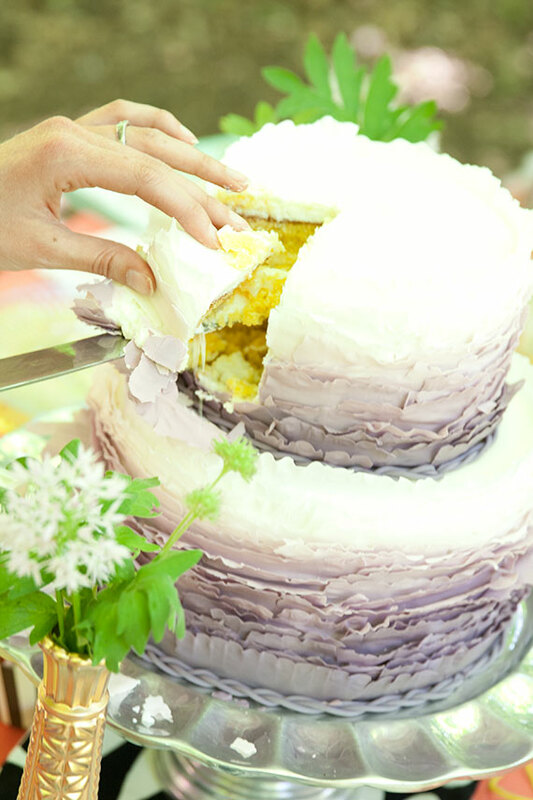 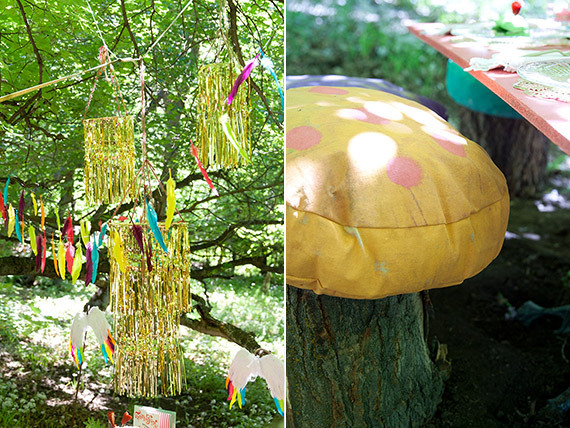 They’ve even got a blog with some really great DIY’s, perfect for the weekend ahead! 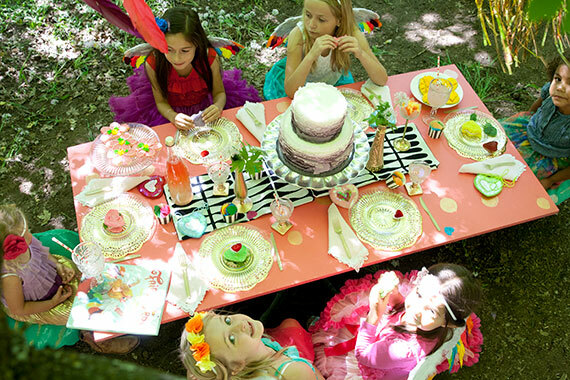 how sweet and utterly whimsical! 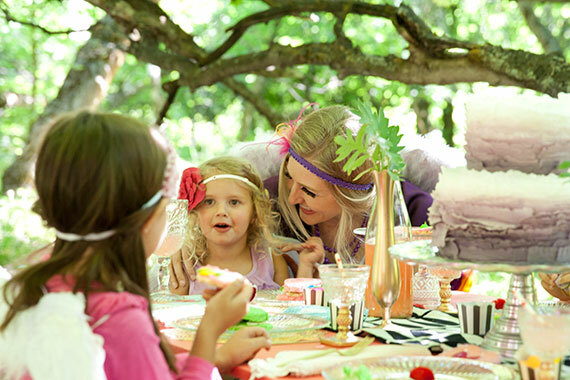 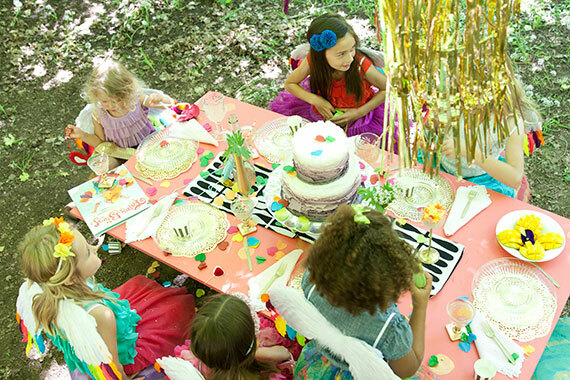 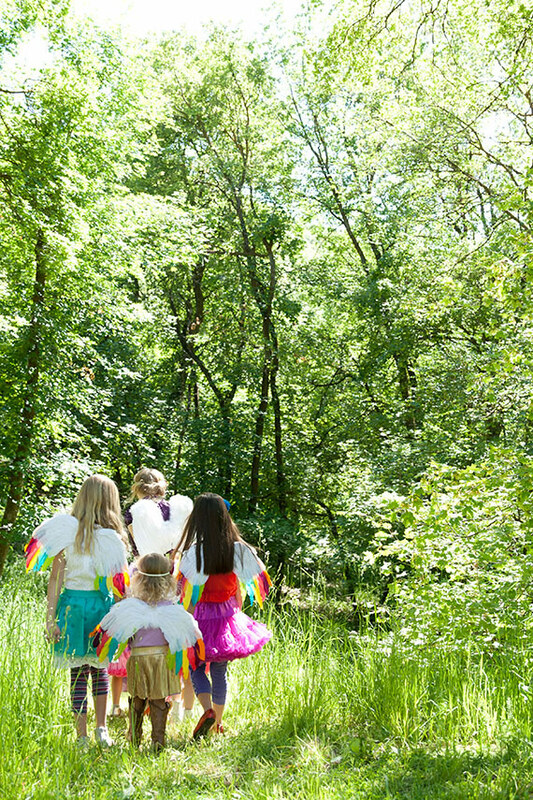 there is no way you wouldn't believe in magic and fairy birds after being at this little party! 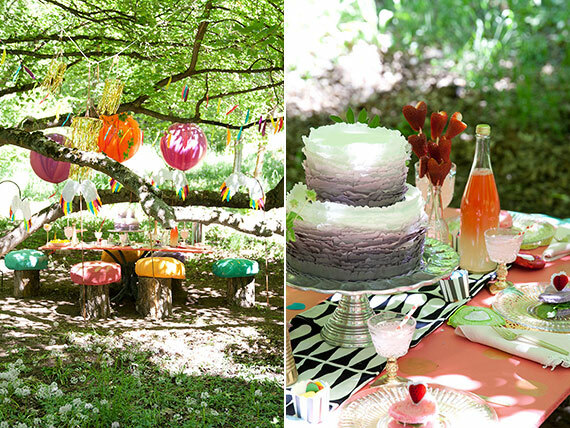 Such a great party. 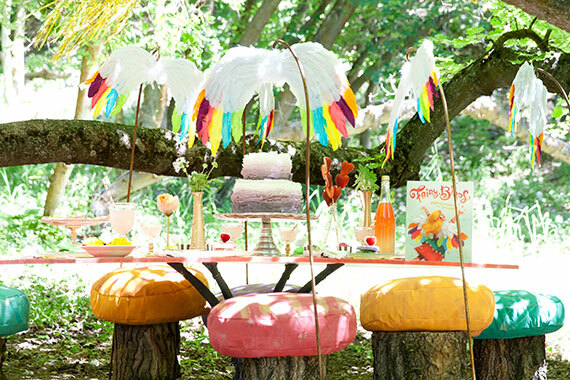 The seats are adorable, I love that idea! 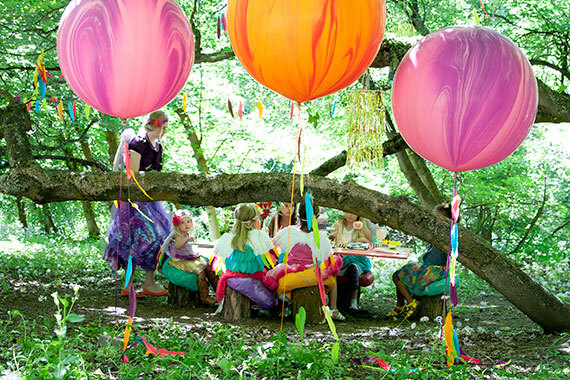 Where did you get those amazing balloons?